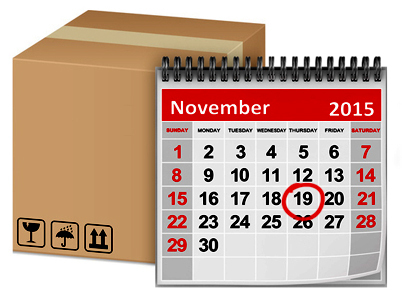 The Delivery Date Estimator feature shows your customers the exact delivery dates for the available shipping methods. Delivery dates are received in real-time from UPS and FedEx. This system even takes into account your processing time, cut-off time, holidays and weekends. You can choose to have the Delivery Date Estimator installed on product pages and your E-commerce Store’s shopping cart and shipping/billing information page. Shoppers love to see estimated delivery dates, it shows them all of their shipping options so they can make an informed decision. It also sets your store apart from those that don’t use a Delivery Date Estimator. To show the cost of shipping for all available shipping methods, check out the Shipping Calculator. In order for the Delivery Date Estimator – Item page to work, you must sign up for the Shipping Calculator – Item page. The Delivery Date Estimator for the product page is not a standalone feature. On the product page, the delivery date is only for the specific item. In the checkout pages, the delivery date shown is for the longest delivery time of all the items in the cart.